Lexus very well marked its presence with the recent NX Crossover and RC Coupe but the last year’s 25th anniversary celebration of the first ever LS400 Saloon, from the house of Lexus brought this concept as return gift for car lovers. 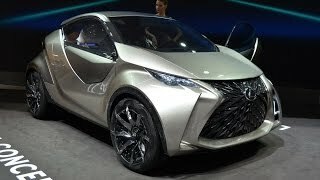 The most interesting part about the Lexus LF-SA Concept is that the style brings both a Hatchback and a crossover. 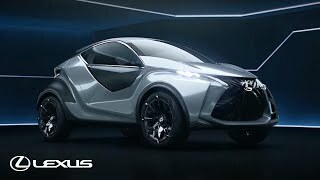 So this opens the market for Lexus as to whom they want to compete, Hatchback or the Crossovers. 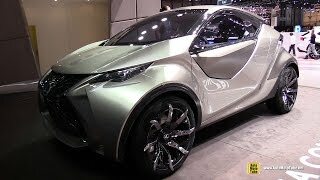 Well competition is still a far away thing, for now let us have a look of this all new Lexus LF-SA Concept 2015. First thing which we believe will surprise you is the spacious interior of Lexus LF-SA Concept 2015. The cabin for four is very well designed and is nowhere compact like its exterior. Front passenger’s seat can be slide adjusted if required while the driver’s seat is fixed. For driving comfort as per the driver’s need steering wheel and pedals can be adjusted. The infotainment system comes with a hologram- like display and is fitted in the instrument panel itself however for rest a wide-angle head-up display is also available. After these beholding the gleam are the undercutting above wheel arches, spindle shaped grille and double steeped rear styling. In all, the 2015 LF-SA Concept with these all adorned with Lexus signatures at various places makes the model worth a second look. 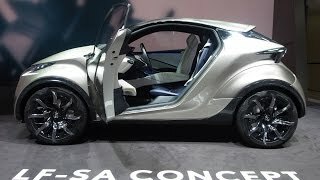 There is nothing shared by the company in context to the performance of Lexus LF-SA Concept 2015 but winds of anticipation narrate the expectations of 2.0 liter turbocharged four cylinder engine to be used in this model. The reason behind the anticipations could be its successful use in the recent hatchback by the company, NX 200t. But as of now no confirmation can be given, as the exterior still confuses the viewers, if it’s a Hatchback or a crossover. As far as competition for Lexus LF-SA Concept is concerned, 2015 Audi A1 and BMW 1 Series hatchback might prove to be good rivals.